Posted on March 14, 2013	by . This blog supports the arts in Bacolod City. 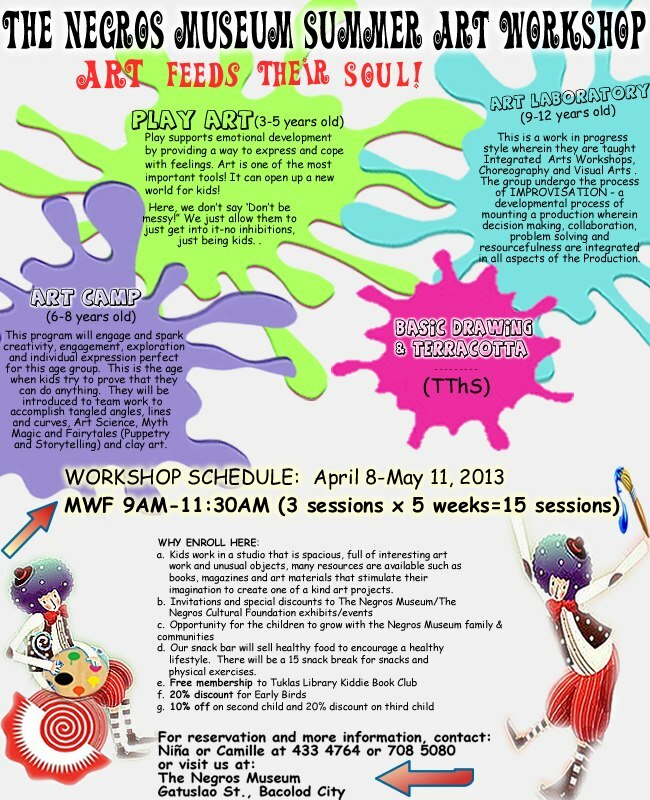 Negros Museum offers art workshops for kids ages 3 to 12, from April to May 2013. See details below!